Dead or Alive online slot is a Wild West-themed 9-payline video slot operating on the NetEnt software platform. The game features cowboy hats, guns and hard liquor, while a Pair of Pistols is the scatter and the Wanted Poster is the wild. Players are welcome to try the slot on this page for free or opt for any of the featured NetEnt casinos to play the game for real money. To join the trigger-happy outlaws in their saloon, players need to adjust their bet first. The bet level is regulated by clicking “Bet Level”. The coin size, ranging from 0.01 to 0.5, can be set by pressing the “Coin Value” button. “Bet Lines” modifies the number of paylines played. “Spin” starts turning the reels, while “Max Bet” spins them at the highest bet. To play the game multiple times uninterrupted, players need to click “Auto”. The reels in this slot are set inside a wooden noticeboard of the type you might have seen in dusty town; the background is a collage of images such as wanted posters and bullet holes. 10, J, Q, K and A represent the lower value symbols and at the top of the tree are a ten gallon hat, a shot of whisky, a sheriff’s badge, cowboy boots and a gun in it’s holster. The wanted poster is the wild symbol and the scatter is represented by a pair of crossed pistols which trigger the bonus feature. Three of the crossed pistols landing anywhere on the reels will trigger the bonus game and for that you’ll get 12 free spins with a 2x multiplier. This is a bonus round which starts off slowly but soon becomes quite profitable; this is because every wild wanted poster you land remains in place for the duration of the spins. 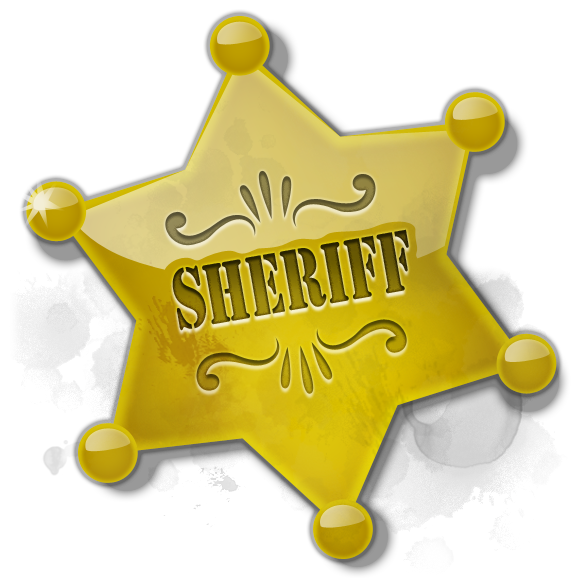 There are five different wanted posters in the bonus game each featuring a different character. If you can land a wanted poster on each reel you’ll get five extra spins but this can only happen once. Although this slot features just nine paylines, triggering the bonus round seems to be much more profitable than some other games with many more paylines, although our video above doesn’t really demonstrate this. As always from Net Entertainment the graphics are first class and the background sounds of a saloon piano and gunshots add some real quality to this release. In this slot machine has so much material that you simply will not get up from your chairs in the first two hours of play. My first encounter with this slot occurred more than a year ago, when I was a day lost more than € 100 on this slot. That’s no reason not to praise the creators of these slot machines, because my selfishness has nothing to do with it. When you want to quickly make and have a great time, when you get a chance to get rich, then you became clear that without this slot machines that will not go. Although there is always something to update on this game, I would not change anything, and will remain so. I usually with Dead or Alive hang on Betsson Casino, and the last time at Bet365 Casino. However, once you change the slot, get to know all the extreme possibilities of the drum, you will see that this slot is not graphically dominant, but it is definitely the most economical for professional players. The reason is the number of payment lines, because this slot has only 9 payment lines. This reduces the possibility of gains or more reduces stake per spin. Just only 10 € on your account, and you’re guaranteed to play at least 100 spins. Of course, you need to be bad luck so that you do not win anything in these 100 spins. In practice this is impossible, because this slot is one of those that have the highest percentage gains over 97%, maybe more. After a while I realized that every game looks the same if we look at the winning lines. The only difference is in the number of such payment line, the rest of the current inspiration to creators of the game, and the possibility that it somehow advertise on affiliate programs on the Internet. For one so large manufacturers such as NetEnt, this is another positive point when it is certain that these slot machines to survive and remain one of the best ever made. My role here reach € 4.5 per spin because I have confidence in everything that happens on the reels in the game, Wild Symbols are we so often brought joy and now can only talk positively about everything that was there. The largest single win on this slot has exceeded € 100 in one spin, but more detail can not say because I do not remember the exact amount. Here is one example, yesterday I was half an hour earned around € 40 to the slot in the role of € 0.90 per spin. Later, I lost everything at roulette, so that the memory remained just a prelude to another big “0” on my account. You’ll probably survive this slot, but if you calms the fact that you at least play one of the highest-paid slot machines from NetEnt, then you will more easily get over your bad day. Dead of Alive has only one flaw, a visible immediately when you open the slot. This slot machine has only 9 payment lines but the situation is different in relation to the Lights slot machine. Here the wild symbols appear in a conventional way as in the other slots. The only difference between Lights slot machines and this is what the Lights game Wild symbols come out randomly at any position on the reels. In Dead or Alive game Wild symbols appear on all columns, normally when the drum stops. However, more often I have won five of the same symbols on the slot machine Lights. At the time of writing, I play this slot at Unibet Casino. I took the auto-play of 25 spins and can not wait to see what luck I have. In the first few spins nothing and then in the seventh, got 5 symbols of “glasses” and it has brought me 200 coins. Otherwise, my role on this slot usually is 0.45 €, but today I increased stake to 0.90 €. That’s good because I came with this combination of symbols of “glasses”, won € 20. At least not have to worry until the end of auto-play games that I would be less than the starting balance. No matter if you play with € 0.09 or € 0.90, it is important you bet per spin does not exceed 5% of the account balance. These slot machines such as Dead or Alive, if you start with € 0.50 and € 0.90 you invest, you almost never stay at zero for the first few hours of play. If you play more than 6 hours, you risk that the other player scored slightly higher amount on Dead or Alive. This means that you will get much more difficult to win, because the slot already given a certain percentage, in theory this is so. In practice, a lot of the players currently active on this slot and probably this one’s victory will be a huge impact on your game. However, I hold another rule, when I fall below 20% of the state to account, I make a break for half an hour minimum. The animation of a symbol is great here, there is not much movement and light effects. This I really like, but my computer that can seamlessly open another slot machine along with this, no recoil. The sound is typical of the western movies, and when your drum is stationary, hear the typical whistle. At any moment you expect to Clint Eastwood or John Wayne jumped out of the screen, but it will not happen, at least not to me. Good luck! We arrive at the slot machines of which will have a number of paylines, initially cast in a dilemma whether at all to play this game. But when you look at the ratings on all better gambling portals, especially on the leading gambling portal AskGamblers.com, then you will see that this game has the highest percentage gains of all NetEnt slot machines. Probably among the other platforms at least among the top five, as for me without thinking to Dead or Alive won a gold medal when winning lines in question. The reason is simple this game only has 9 payment lines, but what makes a profit is the frequency wanted symbol in this slot game, which portrays me only in the first 10 spins brought about 25 € profit on invested € 0.45 per spin. I usually hang out with this game at 10Bet Casino, because usually when I lose a little more money to live betting then take out playing this generous slot machine. If you ask me dead or alive, I will proudly answer “allways alive,” I hope it will remain so, because at this game, I remember only the gains. Have to play that Dead or Alive slot at least once? Are you’m tickled this review? If you answered YES, then the direction of some of the many NetEnt casinos and get an unforgettable experience. Dead or alive it is probably and very likely on of the most known online slot games. Not only across Netent games, since creator is Netent, but across all providers and all games. Everyone know about this game – it is really perfectly dead or alive, and nothing else. I spend thousand of spins in this game and I like it! I like this game because of it theme. Wild west is great, and I am very happy with symbols in this games. 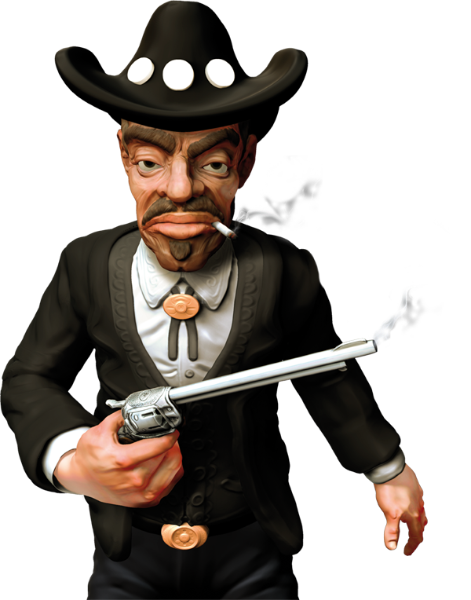 Also I like that each wild during freespins have its name – total 5 well known wild west bandits. Also I love this game because it is enough to bet 9 penny to win amounts which are hundreds. And this is just for 9 penny. I hit 5 scatters with 9 penny bet once, and won 225 euros! And it was from just 10 euros deposit in casino without any bonus. I continued playing and in the end withdrew 500 euros and also played with 50 euros after it. And of course this game earn its fans because it have potential to pay huge amounts. Best and fastest ways it is get 5 scatters. This will pay 2500 bets. Much more harder way – get wild line. This can pay crazy amounts. And winning amount depends on how much spins with wild line you will have. Freespins feature is perfect, i love it. 12 freespins with x 2 multiplier, and sticky wilds. If collect at least one wild at each reel +5 freespins. Probably most exciting freespins feature in the world. I get wild line twice in my life. First time in Betat casino, about year ago. Bet size was 0.27, and i won 723 dollars. Yes, I remembered this amount very good, because it was crazy good win for me from 20$ deposit. And second time it was at Bitstarz couple of months ago, paid 800 euros with 0.36€ bet. Being “Dead Or Alive” so popular slot not only here on AskGamblers but in every community of gamblers along the entire width of the web, I really do not think I have anything new to say, but I neither wanted to be the only member without pronouncing about this exciting game belonging to the company “NetEnt”. First I have to say I love the theme and design of this slot which easily attracts at first sight and it is no surprise since one of the things I like more from NetEnt is the professionalism and creativity dedicated to the visual part of their games, which is a constant. The next aspect that initially more influenced my decision to play DOA is that it is a slot of only 9 paylines that allows bets from only $ 0.01 per line, which makes it a very suitable slot to play when we are short on budget, additionally this fact makes DOA also emerges as a good slot to try to meet our wagering requirements, which is quite useful when you consider that all the time NetEnt casinos are offering very attractive deposit bonuses. Characteristics already mentioned above are all-important for me, but it is obvious that, like the vast majority of fans of this game, what I like more about Dead or Alive is its 12 free spins round, which seems a decent amount of free spins to me and even more considering that all your profits are multiplied x2 and the extra feature called “sticky wilds” adds value to the round, DOA is not the only slot equipped with this feature, but it is not less fantastic for that. The only problem I have with this round is that sometimes I find it supremely difficult to trigger the longed-round, but in this one as in all games of chance, it is needed a good dose of luck that always allows us to remain “alive”. I’ve seen a few negative ratings on this slot, but to be honest I’ve never seen a game, person, place, etc. that will please 100% of people, so if you’re a new player I would recommend that first you gave a look to this popular video slot. One day I was watching big wins at youtube and started watching videos of players who had big wins at Dead or Alive. I also noticed a big fuss starting to happen at casino forum about it too, so I thought I would give it a second try. I was lucky that I hit the wildline at free spins after some sessions I had at the slot and with 0,54 bet I managed to win 1500 which is probably one of the biggest amount I hit with such low bet. I have to admit I got obsessed with Dead or Alive and after a few weeks I got lucky again and won 2000. Winning almost 3500 from a slot in a month is a very big amount for me. Of course like every gambler who respects himself I started being greedy and wanted to chase these wildlines with bigger bets while I had Lady Luck by me. Of course the slot could not be hot and kind to me all the time and the next month although I had some good wins, I started losing good amounts of money so I changed my tactics again. Now I usually low roll with bets 0,09 to 0,27 , of course from time to time I take bigger risks and play it with big bets but these times are rare. Dead or Alive is a slot that you have to be patient a lot and have a good bankroll management if you do not want to waste tones of money. When I first saw this game, I really had no idea what all the fuss was about. I’d seen it being discussed in on-line forums as being a similar type of game to “Break Da Bank Again” (I now know this to be purely in terms of the insane variance the game offers), which I was already familiar with, and liked to play quite a lot. The game seemed really very slow and I couldn’t see any really impressive wins on the paytable – in fact if memory serves, the maximum base game win for a row of the top symbol – the sheriffs stars – is just £15 on minimum bet. It’s possible to double this up with a nicely placed wild but its still fairly unimpressive, after all in “Break Da Bank Again” a full row of the Sapphires with a wild earns you a tidy £75 on minimum bet, and this is upped by a factor of five again in the free spins mode. But, you see, the two games are just hugely difference – the big wins are placed in completely different places, and this misunderstanding led me to stay away from the game after my first session for quite a long time. The next thing that drew me back to it was seeing somebody show a screenshot of winning £9,000 just for five of the scatter symbols on a bet of £3.60 – this seemed really, really high – the scatters on BDBA don’t actually pay anything at all!! So I calculated this back and realised that at a more sensible (for me) bet level of £0.27, I could win £675.00 for getting this same five scatter hit. How hard can it be? Well, it turned out, very hard indeed. I didn’t hit that magical five scatter combination until much later and when I did it was on a bet of just £0.09 (sob), though winning £225.00 for a 9p bet was still pretty exciting for me at the time – I was real broke that weekend and had just dropped a tenner into a casino for something to pass the time. Before I hit the five scatters though, I found out about the wildline – this is, during the free spins, each time a wild lands on the reels it becomes “sticky” and remains in place for the remainder of the bonus round. This was something I hadn’t seen in a game before but I realised the potential straight away and played and played and played, hoping to get good combinations of wild symbols in the free spin mode for a big payoff and boy did it come. I’ve had several wins of many thousands of times my bet playing this game and to this day it remains a favourite of mine. Somebody mentioned the lack of a quick spin function, this can be sidestepped by using “Cheat Engine” on the flash player component if you are using Firefox or Explorer browser on your computer. I would advise asking the casino if they have issue with you using software to speed up the game before doing this in real money mode, but be prepared for many to say no as they do not understand. It really is much more exciting skipping the tedious base game mode between the super exciting features though! Dead or Alive is slot powered by NetEnt software. This game has wild west theme, it has 5 reels and 9 paylines. For me this is really good slot. I like it because it has minimum bet of just 0.09€ per spin. I didn’t found it myself at casino. While I was looking at some forums, big win videos and pictures I saw really a lot of stuff about this game. First I tried it for fun and later I tried it for real money. In the game I like sounds, especially when at least 3 scatter symbol appeared. Till now I didn’t have luck to get more then 3 scatter symbol. I saw some videos with 5 scatters symbols and this is amazing. I can’t even imagine how will I start to jumping if I hit something like this. Hehe. 5 scatters pay really high at minimum bet 0.09 € pays 225€. Amazing. This game I play on every NetEnt casinos, if they offer it of course. I saw some NetEnt casino, but later the game I didn’t found and I don’t know why. I had two big victories on Dead or alive till now. First was at Whitebet casino where I was playing at 0.09€ with bonus attached. I managed to got almost 90€ from 0.09€ bet. The second was at casino room when I played at 0.18€ bet per spin and later won around 200€. This is the reason why I love this game so much. Sometimes I get angry when I play it. This is because I can’t catch additional 5 free spins and then maybe wildline. But I understand, you have to be lucky like at any other games. I made a few deposit just because this game and later lost all the money. Otherwise if I draw a line on all deposits that I made for that game and see payments from it till now, I am in plus.